A provider of next-generation token-less authentication solutions. SyferLock offers an innovative software-based alternative to hard tokens, smart cards and other authentication solutions. Delivering two-factor and multi-factor authentication utilising patented software-based grids to convert static passwords/PINs into device-less one-time passwords/PINs (OTPs). 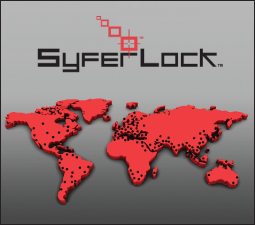 SyferLock has a worldwide patent portfolio for its software-based authentication solutions that includes the United States, Canada, Europe, Israel, Australia, China, India, Japan, Korea, Singapore and Taiwan. SyferLock has also been the recipient of numerous awards from independent research firms and trade publications including Frost & Sullivan and CRN. 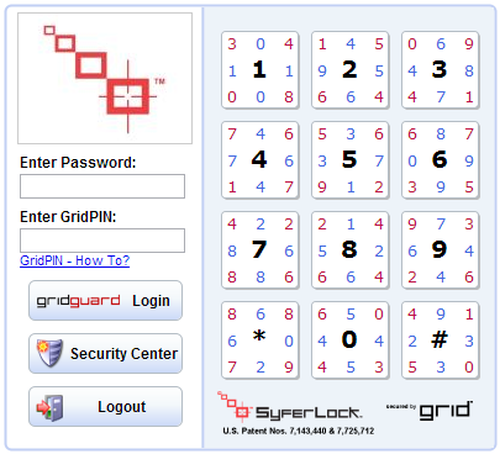 SyferLock’s GridGuard provide One-Time Passwords/PINs (OTPs) for secure access to computers, networks and the Internet. SyferLock has engineered an authentication methodology and system using device-less OTPs that provides users with a simple, more secure way to access information leveraging their existing passwords. SyferLock GridGuard delivers flexibility through a range of solutions to address diverse and evolving authentication needs. Leverages use of existing passwords. Makes all passwords device-less one time passwords. Universal Access always on security – from any machine, anywhere. Detailed account monitoring and analysis. Complete self-service escalating security features to combat key-logging, sniffing, phishing, even continuous screen capture. Self-service 2 factor authentication capabilities. 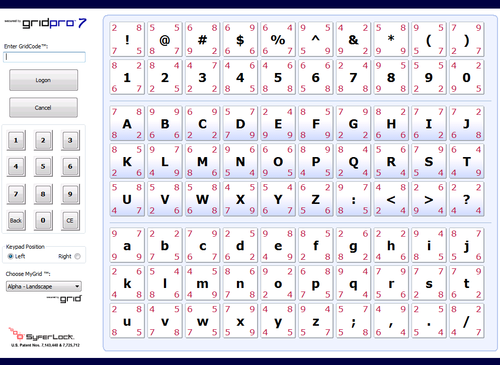 Self-service customised UI and languages. The GridPro solution consists of a log-in application, replacing the standard Windows log-in, that presents the user with a software-based grid for secure, multi-factor authentication. 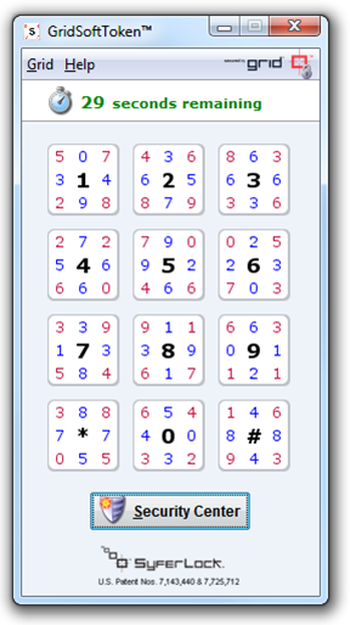 Strengthens Existing Password: GridPro is based on user's Active Directory password; it simply strengthens the password without requiring hard tokens or supplemental PINs. Protection Against Attack Vectors: Using SyferLock's patented methodology, the user enters their one-time-password known as the GridCode™ instead of their static network password. By eliminating the need to enter the user's static Active Directory password, GridPro provides protection against attack vectors like key loggers and shoulder surfers. No Connectivity Required: GridPro does not require any connectivity for the log-in to succeed. In offline mode, the user is authenticated against cached credentials. Console & RDP Access: GridPro protects the machine both via native console access and RDP access. Multi-User Support: With GridPro multiple users can log-on to the same machine with their own credentials.